Post 12 of a series detailing our Eastern Europe road trip. View all the posts so far here. Throughout our road trip round Romania, Serbia and Bulgaria, by far the strangest thing we saw lay far away from civilisation in the Balkan Mountains. 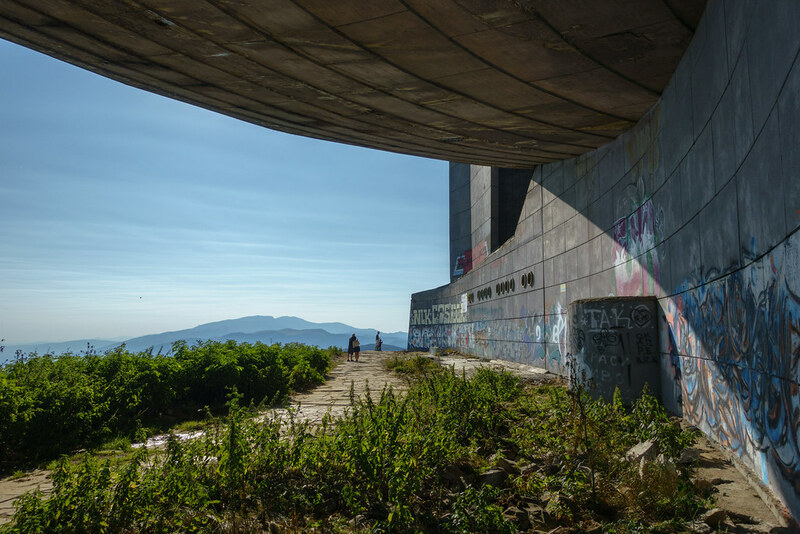 This concrete structure on Buzludzha peak resembles a UFO, but is in fact a monument to communism. 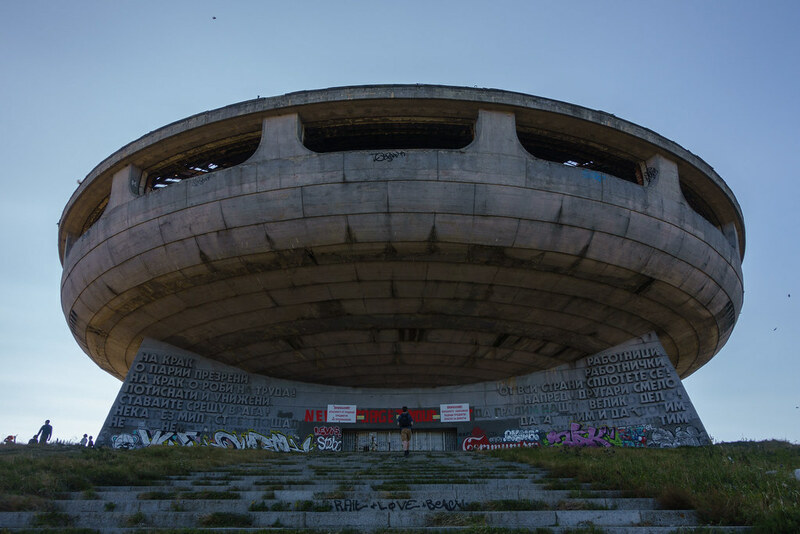 The Buzludzha Monument was built in the 1970s to commemorate the events of 1891, when Dimitar Blagoev’s band of socialists assembled in the mountains to form the movement that would become the Bulgarian Social Democratic Party. 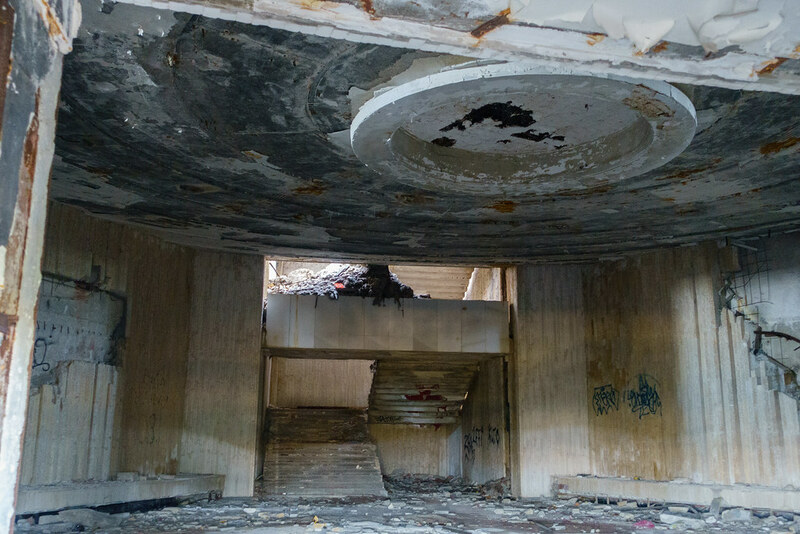 In the 1980s it operated as a museum and conference venue, but it has since fallen victim to such ruin and vandalism that it has become a ‘dark tourism’ attraction, visited for very different reasons. 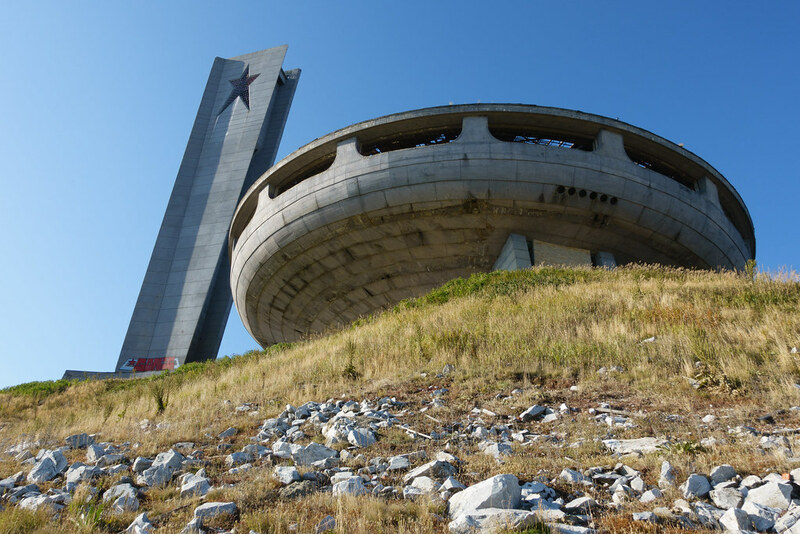 While researching Buzludzha before our trip, I was a little spooked by what I read. 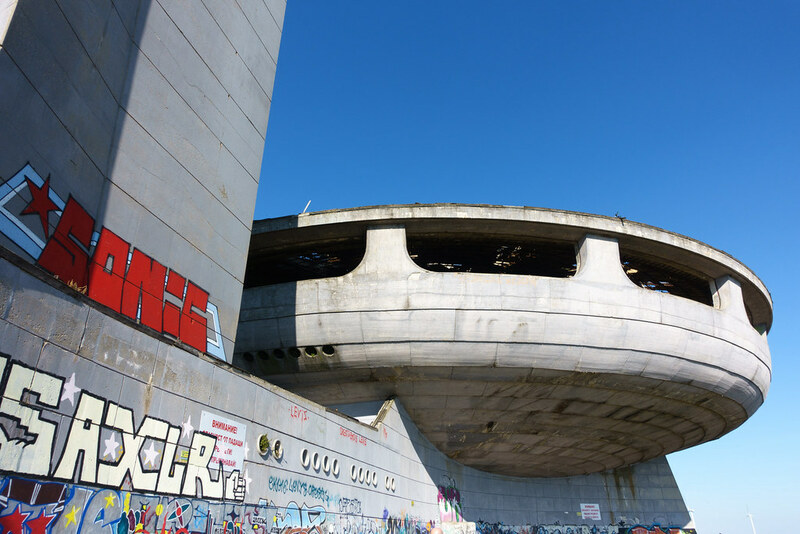 The dilapidated building is permanently locked and illegal to enter, but that hasn’t stopped tourists from breaking in, through cracks in the concrete and underground shafts, to take photos. The continual break-ins have caused holes to be boarded up and security to be tightened; I read about an alarm system that calls police directly to the scene. Just knowing about the prohibitions in place made me a little nervous about visiting the site at all, but it seemed too interesting an opportunity to miss. Going to Buzludzha required us to make a considerable detour on the way from Sofia to Veliko Tarnovo. The route took us through fields and wilderness, so when it came to lunch we stopped at the first roadside diner we saw. The owners clearly weren’t used to serving tourists, and no-one spoke a scrap of English. We sat at a wooden picnic bench outside with one Bulgarian truck driver and a million flies for company, and relied on universal brand names to order drinks. The menu was completely in Cyrillic, which our translation app struggled to decipher. Thankfully the menu had a few photos and we managed to order a pizza and some pork by pointing at them! 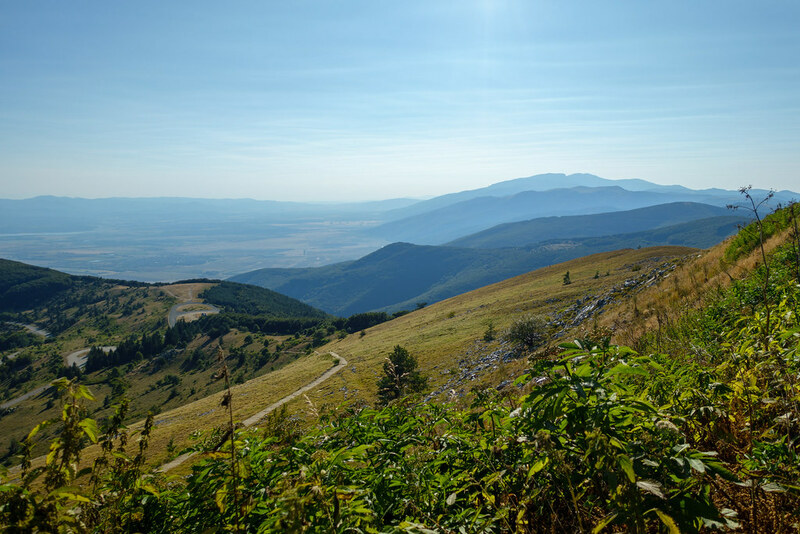 We saw Buzludzha Monument in the distance, perched atop its hill, long before we reached it. 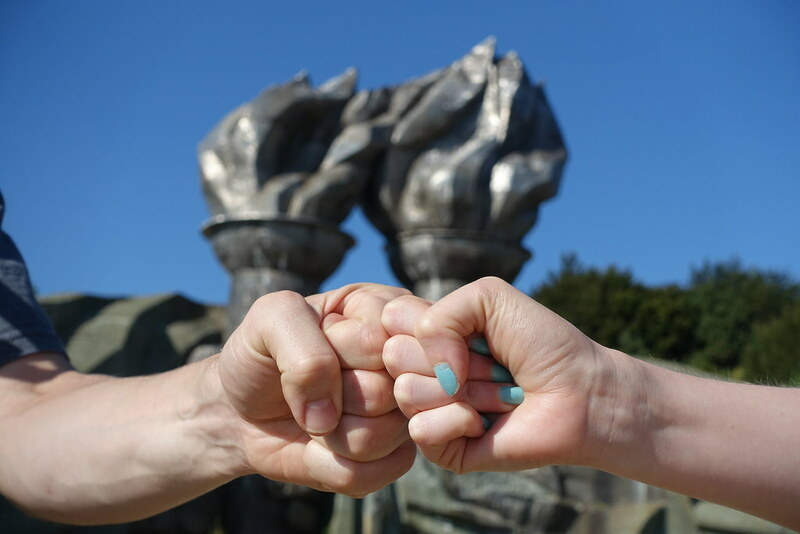 Before stopping at Buzludzha we visited another striking structure sat nearby: a sculpture of two hands holding flaming torches. 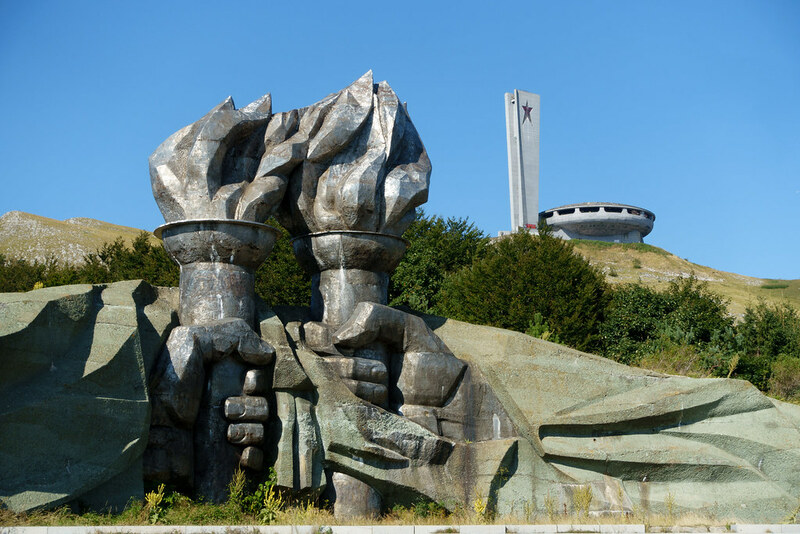 The communist regime built this at the same time as the Buzludzha Monument, and together they’re an imposing sight. 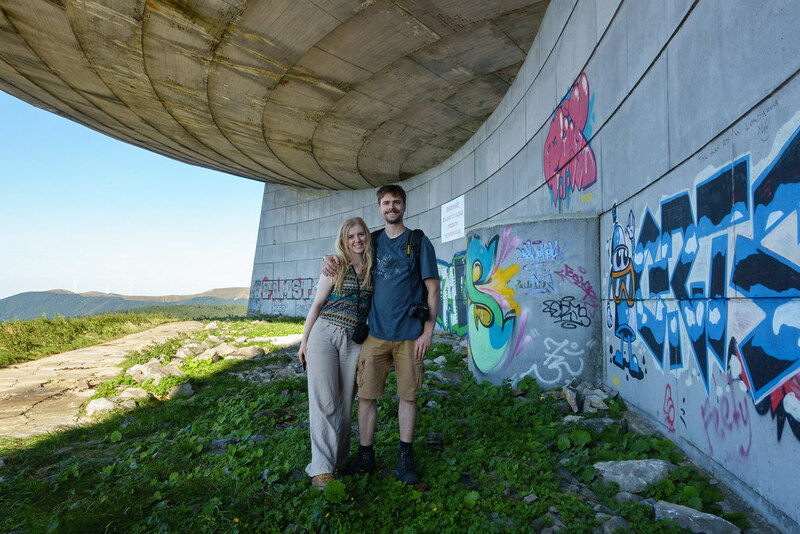 We took a few photos before moving onto Buzludzha. When we parked up at Buzludzha there were only a few others there: a young family and an older couple. 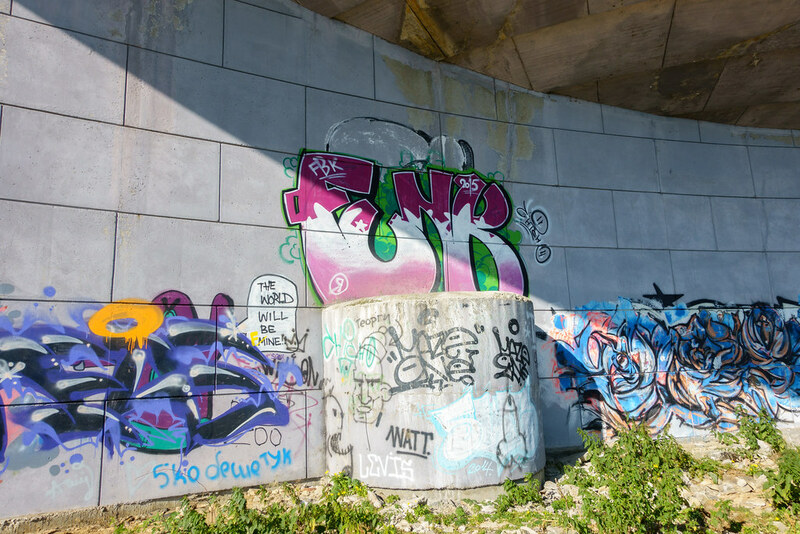 We walked around the building in wonderment, taking in the graffiti and dilapidation as well as the unusual features of the building itself. The empty windows provided a view through to the collapsed roof, while foliage wrapped around crumbled concrete on the ground. It seemed such a truly alien place that it was hard to picture it functioning as a museum and conference centre just a few decades ago. The bright graffiti really added to the effect: I especially liked the writing of ‘Communism’ in the style of the Coca Cola logo. Given the monument’s mountain-top location, the views from here were stunning. We made sure to walk a little further down from the monument to admire the wider landscape and the dramatic contrast between the Brutalist building and its grassy surrounds. I couldn’t resist looking for potential ways to enter the building, but the only one I found was a hole in the ground loosely covered with a board – presumably this had been nailed down then ripped loose again. But the drop down looked too great to be safe, and besides, I was too scared of getting caught! The photo below was taken through a hole in the wall. We didn’t stick around to see what happened next. Instead, we drove on to our next stop: the ‘museum town’ of Veliko Tarnovo. 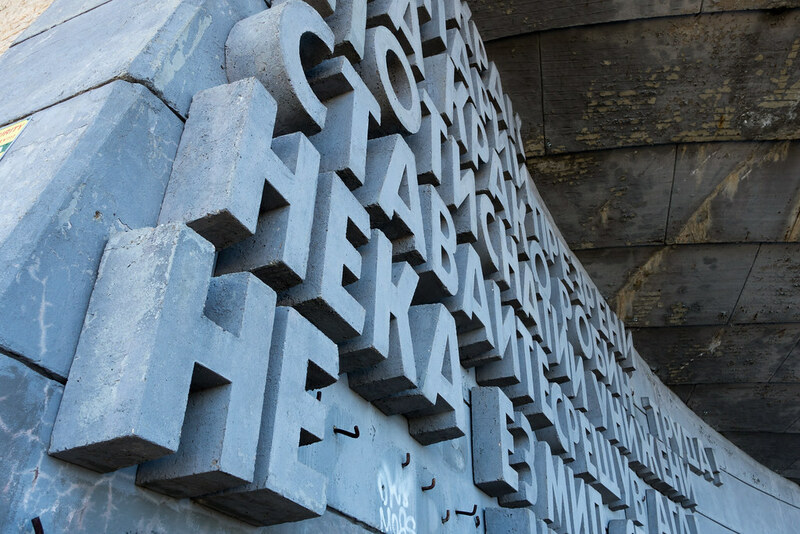 You can find much more information on the Buzludzha Monument and its history on buzludzha-monument.com. 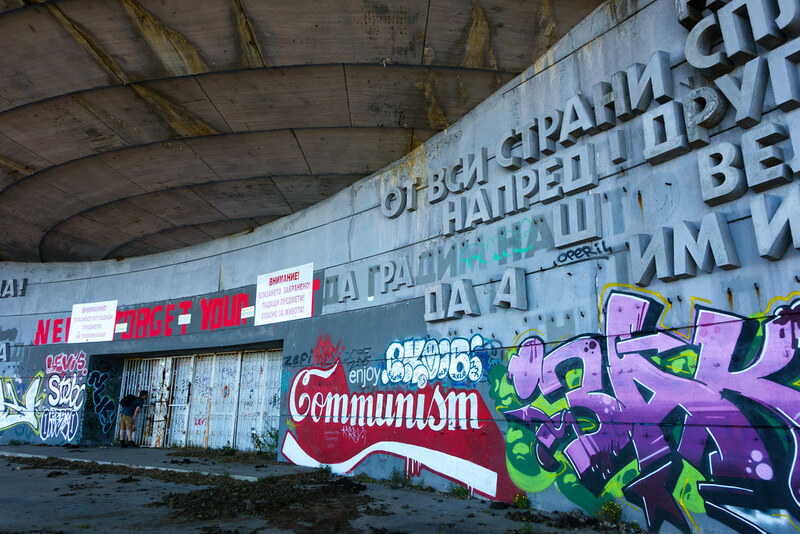 Posted in Bulgaria, Eastern Europe, Photography, TravelTagged Balkan mountains, Buzludzha, communism, socialismBookmark the permalink. It certainly wasn’t beautiful but it was incredibly interesting! Unsurprisingly, this was one of the main sights that Steve (with his interest in politics) wanted to see. It’s an odd thing. 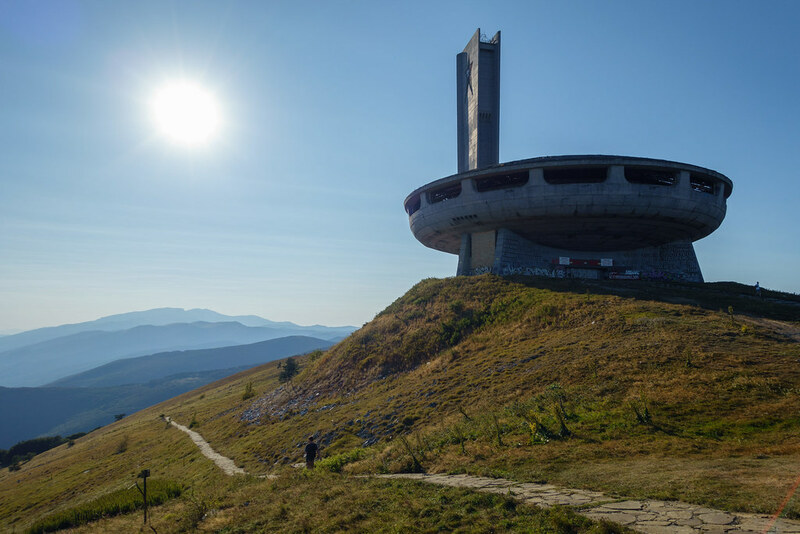 I see many posts from tourists about Buzludzha, but no Bulgarian I’ve known in over 30 years has ever mentioned it. 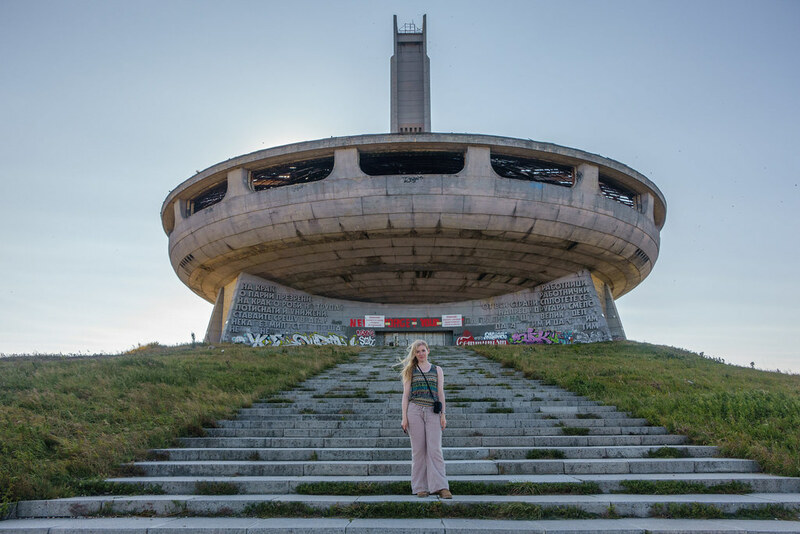 Bulgaria has so much beautiful nature, wonderful history together with an embarrassment of archeological riches, quaint villages and small towns, and cultural life that it’s hard to understand why Buzludzha is such a consistent draw. Hope you enjoy Veliko Turnovo. Tzarevetz is a great place to explore.